Next year Slovenia will launch a new toll system DarsGo. 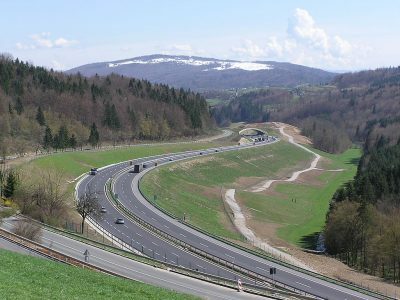 Toll will apply to trucks with GVW of over 3.5 t.
Since April 1, 2018 drivers of vehicles with a total weight of over 3.5 t passing through Slovenia will pay a fee through an electronic toll collection system DarsGo. The vignette system will still apply to other vehicles. 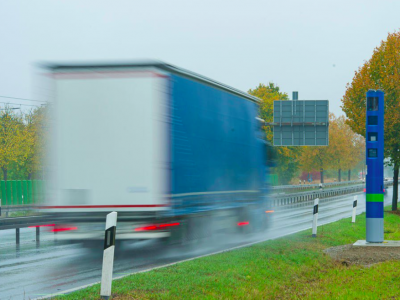 To ride a truck on Slovenian highways you will have to register in the system and equip the vehicle with a DarsGo device – informs the „Transport i Logistyka Polska” Employer Association in a press release. 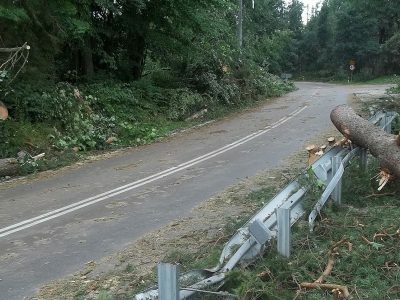 One device can be used in just one truck – they cannot be moved. The vehicle’s registration number and its EURO emission class will be saved in it. The toll class will be determined by the driver each time before driving based on the number of axles. The system will automatically charge the toll based on the distance travelled. 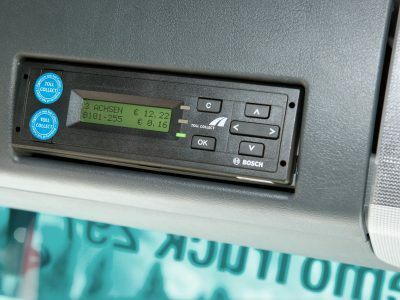 Toll gates will recognise the DarsGo devices of the passing trucks via microwave sensors, thanks to which it will be possible to calculate the amount of the toll for using a section of the motorway. Where can I pick up the device? The operator has launched the registration in the toll system on 6th of November 2017. The devices used for the toll can already be picked up in the DarsGo service points in Ljubljana, Lopata, Gruškovje, Maribor, Grabonošu and Obrežje (marked in red on the map). Since the beginning of 2018 registration and reception of the on-board equipment will be also possible at gas stations partnered with DarsGo Service (marked in green on the map) and via www.darsgo.si. The new board equipment can be installed in a vehicle earlier as the operator will start charging tolls with the equipment on 1 April 2018. – European Union companies can carry out the whole registration proceedings and order the device via the Internet, pay the administrative fee using a credit card and receive the DarsGo device for free by mail. To register the vehicle in the Slovenian system it is necessary to show the proof of vehicle registration and confirm its EURO emission class. For each DarsGo device the administrative costs amount to EUR 10. – as a prepayment. Topping up the account in the DarsGo servis using a fuel card or credit card, cash or via the www.darsgo.si website (credit card or bank transfer). – in the form of post-payments under a contract concluded directly with DarsGo or selected fuel card.